Our roundup of rural and urban, active and laid-back, educational and just plain entertaining family getaway ideas, from coast to coast. Philadelphia’s walkable Historic District is a highlight reel of America’s illustrious founding, with must-sees like the Liberty Bell, Independence Hall and the just-opened Museum of the American Revolution. This newcomer features state-of-the-art interactive displays, hundreds of artifacts and its crowning glory, George Washington’s Revolutionary War mobile headquarters tent, aka the first Oval Office. 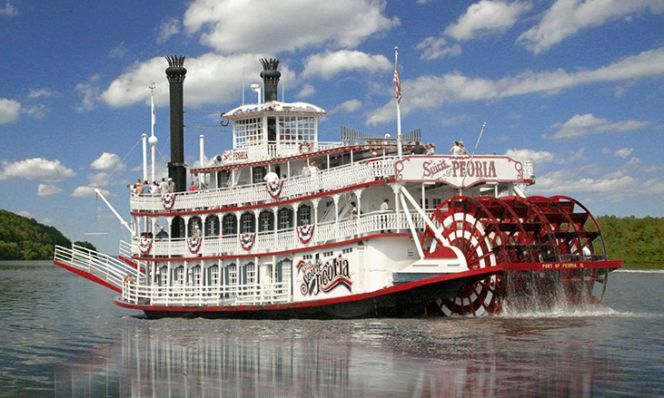 Step aboard the Spirit of Peoria for an old-fashioned paddle wheeler ride. Ninety-minute narrated trips head up and down the Illinois River. Three- and five-day journeys cruise along the Mississippi River by day and dock at riverside towns each evening before arriving at Hannibal, MO—boyhood home of Samuel Langhorne Clemens, aka Mark Twain—or the Gateway Arch in St. Louis. 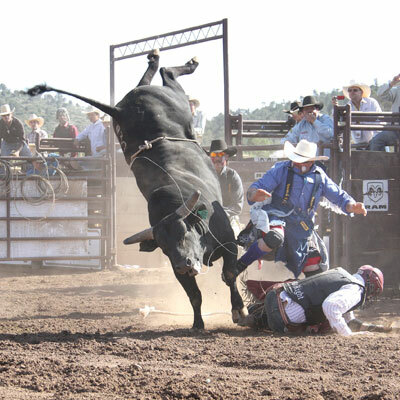 Nothing captures the spirit of the West quite like the World’s Oldest Continuous Rodeo in its birthplace of Payson, AZ. The 133-year-old event is held the third full weekend in August and brings in the finest professional cowboys and cowgirls to ride bulls, wrestle steers and tame bucking broncos. Washington DC’s National Mall showcases food, music and art at the Smithsonian Folklife Festival (June 29 to July 4 and July 6 to 9). This year’s event—the 50th!—celebrates circus with a look at life under the big top as well as performances and demonstrations. These learning adventures are no work and all play. 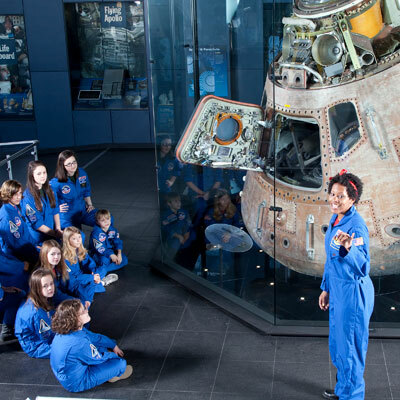 A three-day Family Space Camp at the U.S. Space & Rocket Center in Huntsville, AL, invites budding astronauts of all ages to simulate missions to the International Space Station, construct and launch model rockets, and explore the night sky through telescopes, among other stellar activities. Hang 10 with your daughter or best girlfriend at Surf Diva’s All Ladies Overnight Surf Camp in San Diego, which includes meals, lodging, twice-daily surf instruction (any level!) and transport in the pink Betty Bus. Everyone will dig the Crow Canyon Archaeological Center, a 170-acre campus in Cortez, CO, near Mesa Verde National Park. A free one-hour tour explores an archaeology lab and curation room. The one-day tour adds in time for a visit to an active excavation site. The St. Pete Shuffle is not a dance but a fun, free and very popular Friday night event at the world’s oldest shuffleboard club, in downtown St. Petersburg, FL. Players young and old grab cues and push discs down 52-foot-long courts as they have since 1924. Volunteers and fellow shufflers happily give a quick lesson. Up your barbecue IQ at Belcampo’s three-day, two-night Meat Camp: Family Edition, near Mt. Shasta, CA. Open-fire grilling, basic butchery and knife skills are taught by company chefs and CEO Anya Fernald, a former judge on Iron Chef America. Meals are under the stars; lodging is in luxury tents. 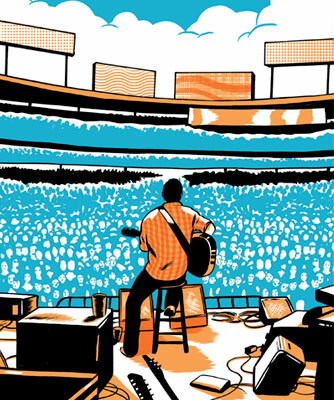 Billy Joel and James Taylor are rocking outfields across the country—including Boston’s Fenway Park and Chicago’s Wrigley Field. LA’s Dodger Stadium and NYC’s Citi Field load the bases with a dueling multi-day concert of heavy hitters that includes The Eagles, Fleetwood Mac, Steely Dan and Earth, Wind & Fire. Other artists belting it out of the park: Dead & Company, Lady Gaga, Metallica and Zac Brown Band. 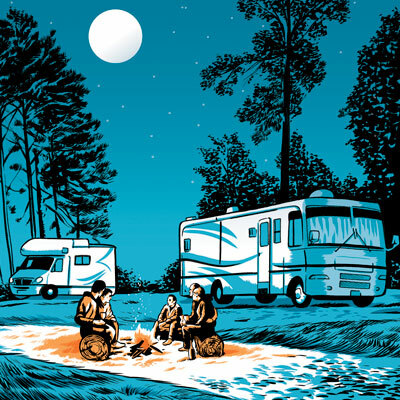 RV parks and campgrounds offer scenic stays, budget-friendly options and loads of amenities. Summer’s sweeter on these 55 acres with more than 300 campsites plus rental log cabins, pools, movie nights and discounted and early admission to Hersheypark, a quick drive or complimentary shuttle ride away. Bring the RV or rent a yurt, pop-up trailer or safari tent at this oasis located between Boston and Cape Cod. Yoga classes, guided mountain bike tours, a wellness center and even a dog park are among the creature comforts. On the shores of Lake Oelwein guests can swim, canoe, play Frisbee golf or beach volleyball and day-trip to the Field of Dreams movie site. Every year baseball legends emerge from the corn fields to have a game for fans. If Zion National Park, Grand Staircase-Escalante National Monument and Bryce Canyon National Park are on your docket, these 18 acres with RV parking, riverfront camping and a motel are an ideal location—so many activities are within an hour’s drive. The staff can help with setting up horseback rides, ATV rentals and fishing excursions. Get your kicks on one of America’s first highways, the legendary Route 66, winding from Chicago to Los Angeles. 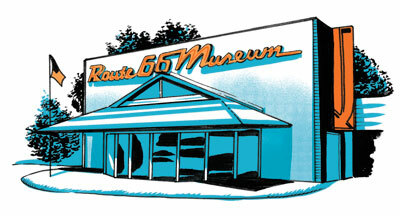 The Route 66 Museum in Clinton, OK, offers a one-stop overview of America’s most famous highway. The Mother Road teams up with Mother Nature in Arizona when it passes through the Painted Desert and the Petrified Forest, the only National Park containing a section of the renowned route. In Santa Fe, NM, San Miguel Chapel, built around 1610, claims to be the oldest church in the United States. Cadillac Ranch is a lineup of Cadillac cars nose-down in dirt just outside of Amarillo, TX. It was planted by San Francisco artists. Located at the beginning of Route 66, Chicago’s Lou Mitchell's Restaurant has fed presidents, athletes, movie stars and road trippers for decades. Route 66 has an ocean view at California’s Santa Monica Pier, which opened in 1909. Carthage, MO, is home to the 66 Drive-In Theatre, which premiered in 1949 and still shows movies every weekend. Where do the buffalo roam? In the Black Hills of South Dakota at Custer State Park. 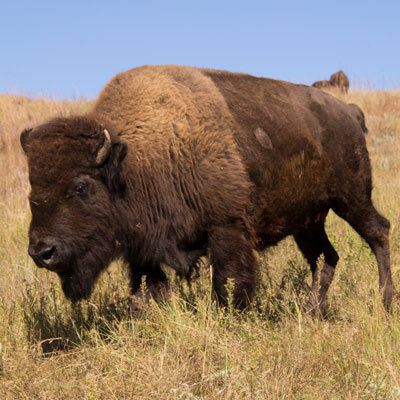 A guided safari gets up close to the majestic creatures, and a spectator-friendly buffalo roundup takes place the last Friday of September. Bonus: Mount Rushmore is 35 minutes away. Idaho’s pristine scenery and the Salmon River are the setting for ROW Adventures’ Family Magic rafting trip with hikes, swimming, campfire cookouts and a River Jester. Gaze skyward (with protective glasses) on August 21, when the first total solar eclipse visible from North America in 45 years cuts a diagonal path from Oregon to Missouri to South Carolina, with viewing opportunities in public parks. Much of Alaska’s scenic coastline is inaccessible to vehicles, but the Alaska Marine Highway System’s ferries carry cars and passengers thousands of miles. 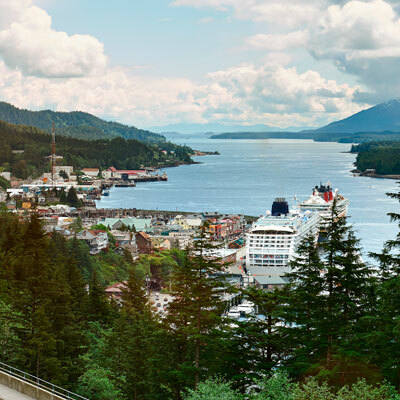 The exceptionally scenic Prince Rupert to Haines route meanders through Tongass National Forest and the Inside Passage. The 35-mile Fruit Loop, which meanders through Oregon’s stunning Hood River Valley, has dozens of leg-stretching opportunities, including roadside stands and u-pick farms. Stop at the Apple Valley Country Store for jam and check out the fuzzy adorableness at Cascade Alpacas of Oregon. Pedal along the 20-mile Swamp Rabbit Trail, which runs from Greenville, SC, to the town of Travelers Rest. Take in a ball game at Fluor Field, a replica of Fenway Park and home to the Greenville Drive. 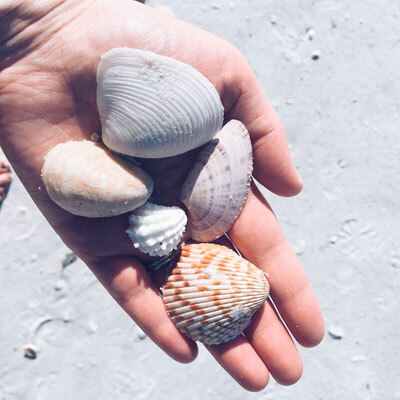 Collecting seashells never loses its charm, especially on Sanibel and Captiva, two islands just off the west coast of Florida that boast 250 different kinds on 15 miles of sugary sand beaches. Movie night gets an eerie twist at Hollywood Forever Cemetery in Los Angeles, where classic films are projected on a mausoleum wall every Saturday. Permanent residents include Rudolph Valentino. Photos, from top: courtesy of Spirit of Peoria, courtesy of Payson Pro Rodeo, courtesy of Surf Diva, courtesy of Space Camp, Stephen St. John/Getty Images, dimarik/Getty Images, Kasia Baumann/Getty Images.